Note: List shows Current Editions but original published dates. 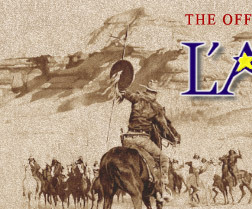 How the West Was Won - Now including Louis L'Amour's Lost Treasures Bonus Material Postscript! Down the Long Hills - Now including Louis L'Amour's Lost Treasures Bonus Material Postscript! 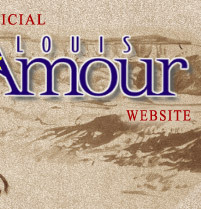 Visit WWW.LOUISLAMOURSGREATADVENTURE.COM to check out our exciting site dedicated to the adventures stories of Louis L'Amour! Visit WWW.LOUISLAMOURSLOSTTREASURES.COM for all the details! Visit WWW.SONOFAWANTEDMAN.COM for all the details! Click above to explore the various maps of Louis L'Amour story locations! NOTE: The collection is run by Random House Direct and we here at LouisLAmour.com don't have access to their customer information etc. Please contact them directly for anything to do with the Louis L'Amour Collection.